I still pinch myself to make sure I am not dreaming about living in California. That it actually is real, and so much natural beauty is at my doorstep, just waiting to be explored. This long weekend, we packed our bags for our first travel adventure of 2017 (many more to come!) and set off on a road trip up the famous California Highway 1. We covered roughly 700 beautiful miles in 3 days (and we still did not even reach Big Sur! ), and fell in love with California all over again. 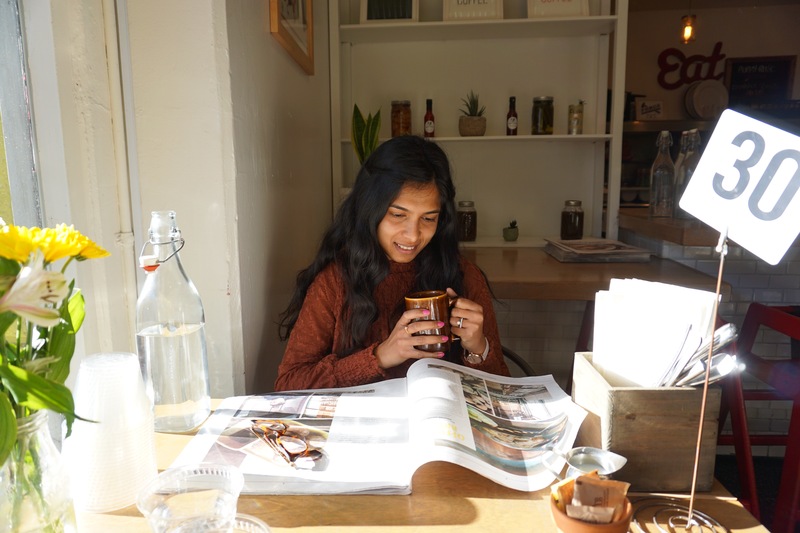 Our first stop was in downtown Los Angeles (DTLA for short), at Poppy + Rose for breakfast. What brought us here? Chicken and waffles to keep Andrew happy! Tip : Order their coffee, it’s delicious with free refills. I usually order cappuccinos, but I was so glad I skipped that for regular coffee! 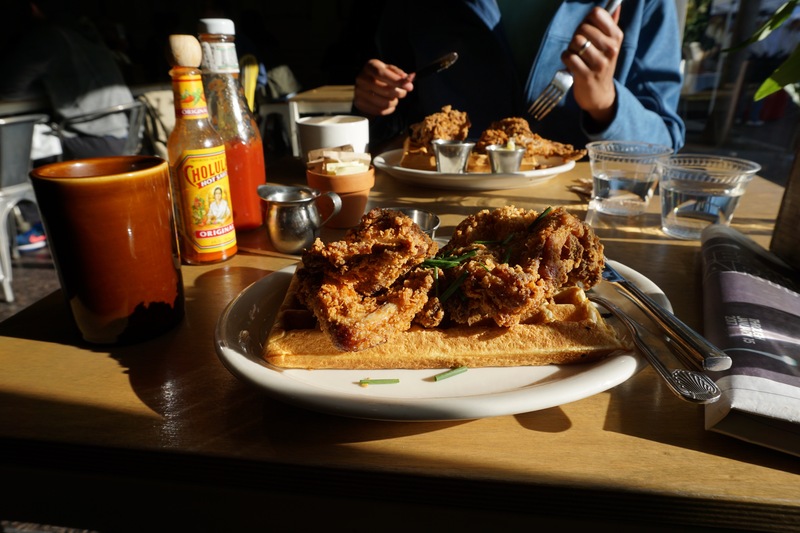 Chicken and Waffles – highly recommend! After fueling our stomachs, we drove on to Pismo Beach, where we wanted to see the Monarch Butterflies. The butterflies head to warm(ish) Pismo Beach in the winter, and the Monarch Butterfly Grove is a beautiful sight between October – February. The orange spots on the tree are all butterflies! There is a lovely little walking trail behind the grove with picnic benches! 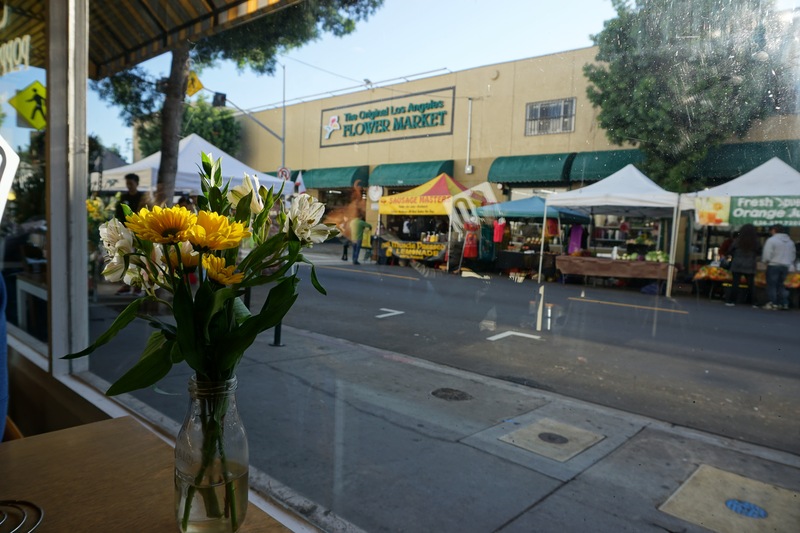 The butterflies were a truly beautiful sight, but unfortunately beauty cannot fill your stomach, so we headed off to San Luis Obispo for a bite to eat. 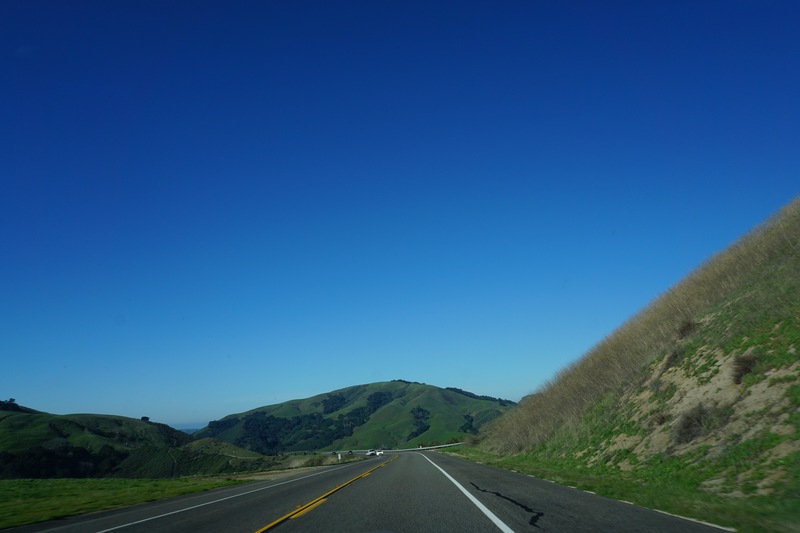 This was actually my second time driving through San Luis Obispo, and once again, I felt a strong pull toward it. The city is just so cute, the fonts on road signs read like fantasy novels, and it has some really good coffee shops! If I had to choose anywhere to live in California (besides San Diego of course!) it would probably be here. We ate lunch at Flour House (we had planned to go to Linnaea’s Cafe and eat in the garden, but this looked pretty inviting on our way to Linnaea’s). We scarfed down a pizza (they have a Stefano Ferrara wood fired oven, made by hand in Naples, the floor held together by Italian clay). Seemed pretty fancy. 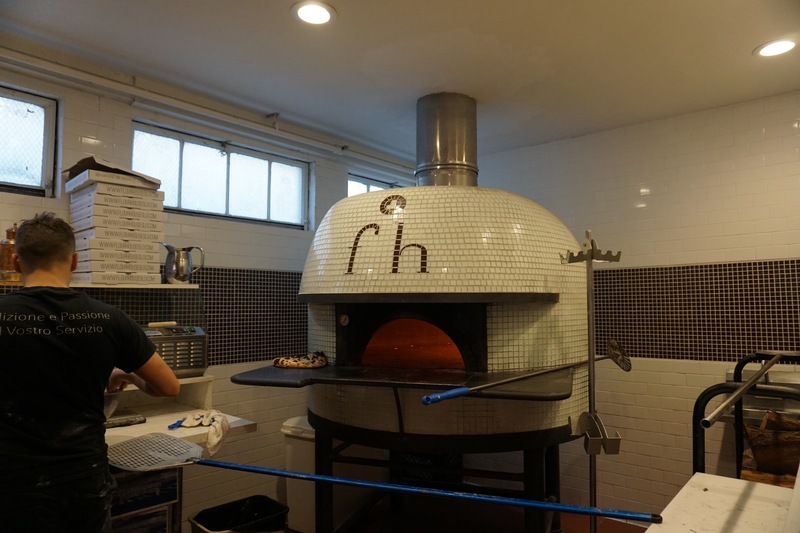 The pizza was really good, however, if you have a delicate stomach, I would recommend not getting the buffalo mozzarella cheese, even if it is more authentic. 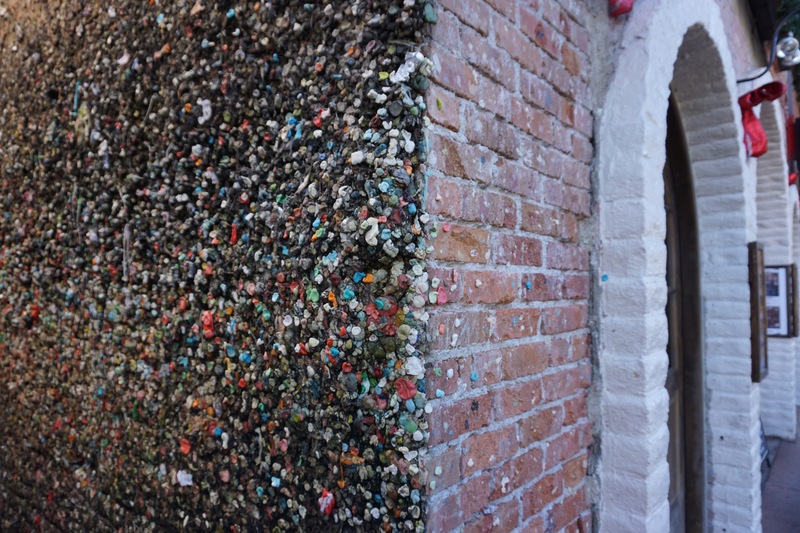 After that we just walked around SLO downtown, breathing in it’s soothing air and taking in some weird sights, such as the infamous bubblegum alley, a landmark since 1970. 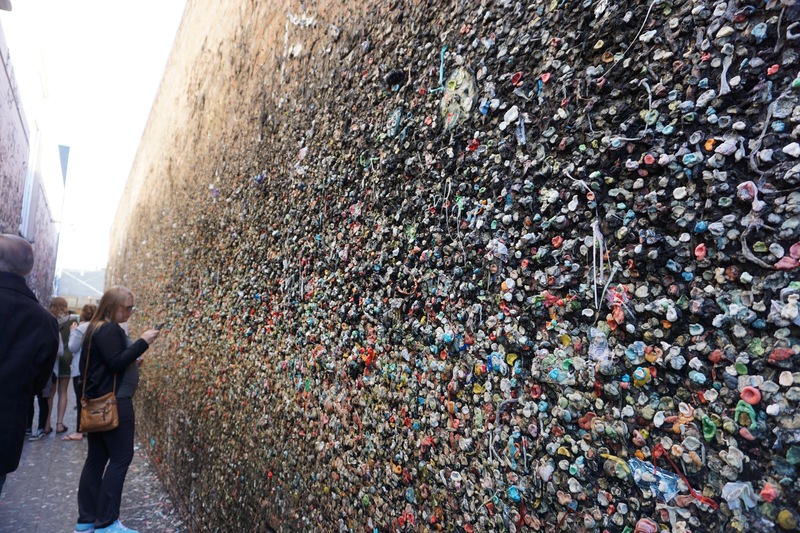 Of course, we saw a ten year old boy enthusiastically stick his own bubblegum on there, and very conveniently, the shop next door sells, wait for it, bubblegum! 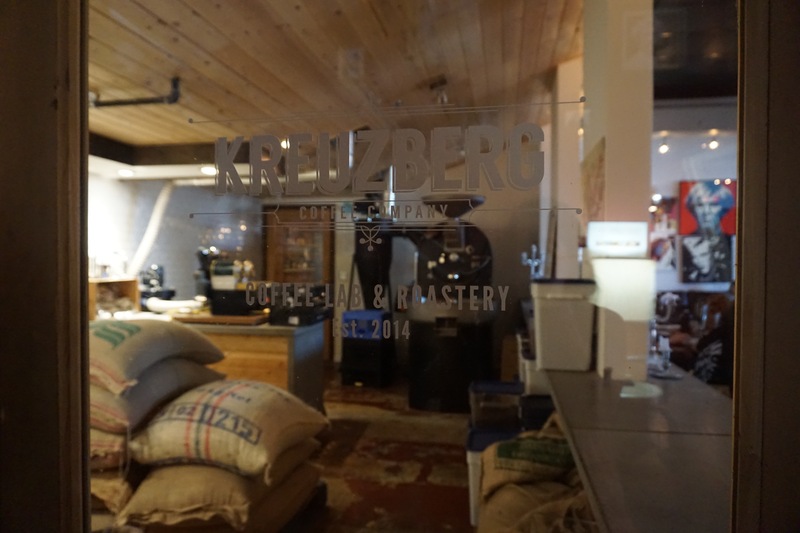 It’s almost always coffee o’ clock in my world, so we headed to Kreuzberg Coffee, which I had been wanting to visit for a while. It did not disappoint. The cappuccino was strong and delicious, they roast their own coffee, and have cool murals on the wall. They also serve this yummy little chocolate chip cookie with the cappuccino. It was so good, that Andrew asked them if they sold those, which unfortunately they don’t. However, they were so sweet to give us a few in a bag to take home! If you find yourselves in or near SLO, I highly recommend this place for all your caffeine needs. By now, we had been on the road for about 9 hours, so we couldn’t wait to get to our Airbnb in Paso Robles and just unwind for a bit before dinner. 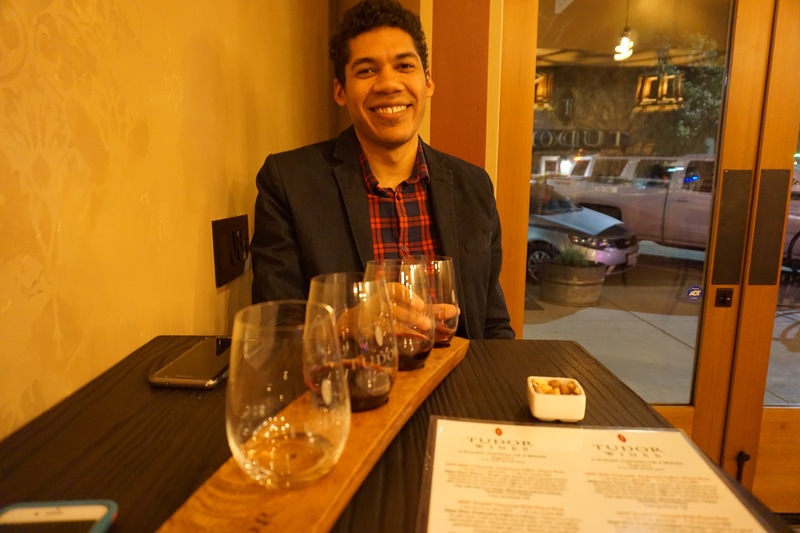 We decided to stay in Paso Robles for a day and a half, to explore the surrounding wine country (touted as the next Napa) and visit the famous (or infamous?) Hearst Castle. Our Airbnb was a comfortable suite with a deck and lovely views, nice hosts, and very close to downtown Paso and wineries. It was definitely worth it, since it was half the cost of the good hotels in the area. 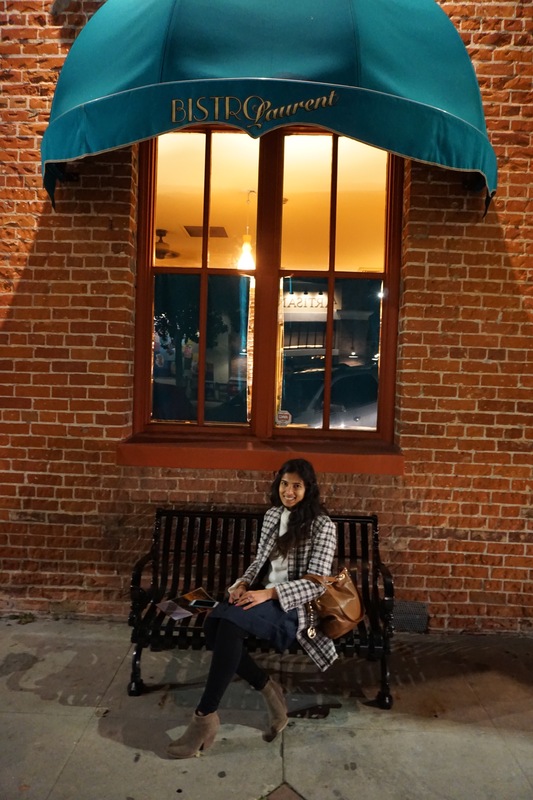 Downtown Paso Robles is small, but cosy, with a lot of nice restaurants and very cute boutiques. 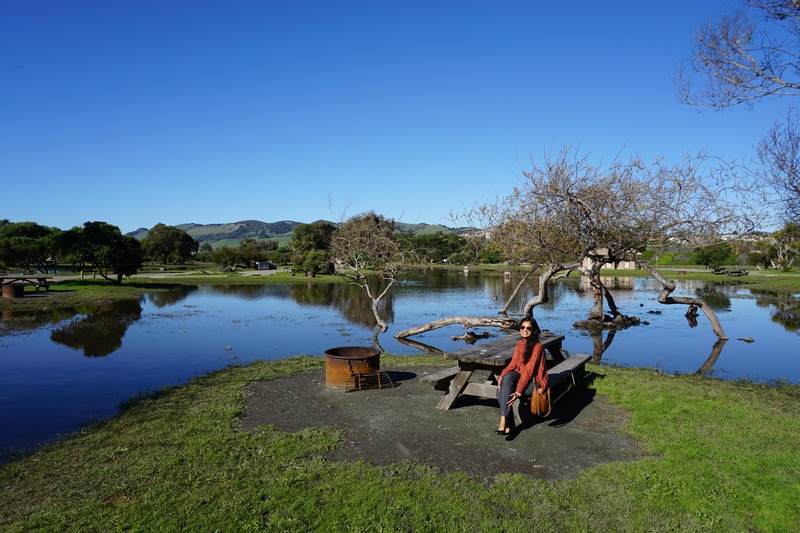 It even has a small park in the center, where you can enjoy an urban picnic lunch (however, a picnic at one of the many wineries is always a better idea!). Paso Robles in the winter has a pretty big swing in daytime versus nighttime temperatures, so walking around in the evening turned out to be a not so great idea. 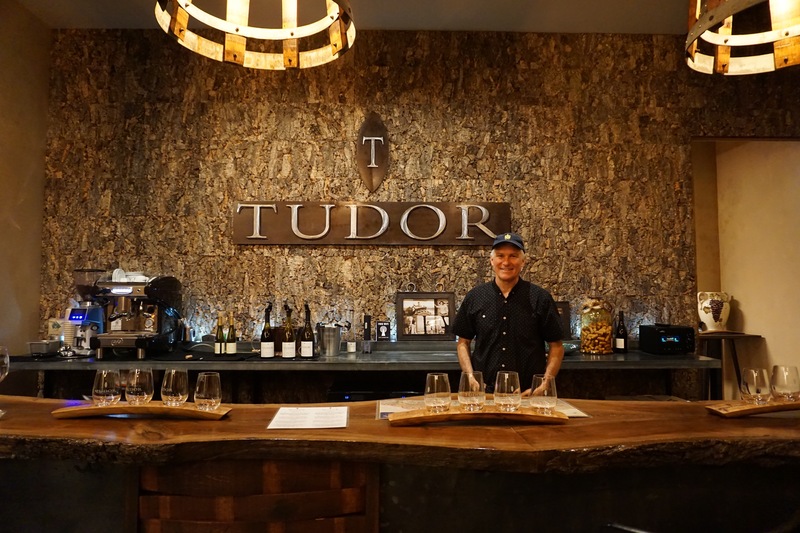 Luckily, we found this cute little tasting room, called Tudor Wines, and headed inside to kill time before dinner. I find that it’s usually the unplanned travel moments that are most memorable, we had such a lovely time there, talking to the owner and his wife. You should definitely visit them if you go to Paso Robles, the owner’s family used to grow table grapes, but he decided to enter the winemaking business. Their wineries are in the Monterrey area, so not strictly Paso Robles, but they had some very delicious Pinot Noirs. We shared a wine tasting flight with one Chardonnay and three different Pinot Noir. Our favorite was the 2014 Santa Lucia Highlands Pinot Noir. We ate dinner at Bistro Laurent, a french restaurant, by Chef Laurent Grangien. 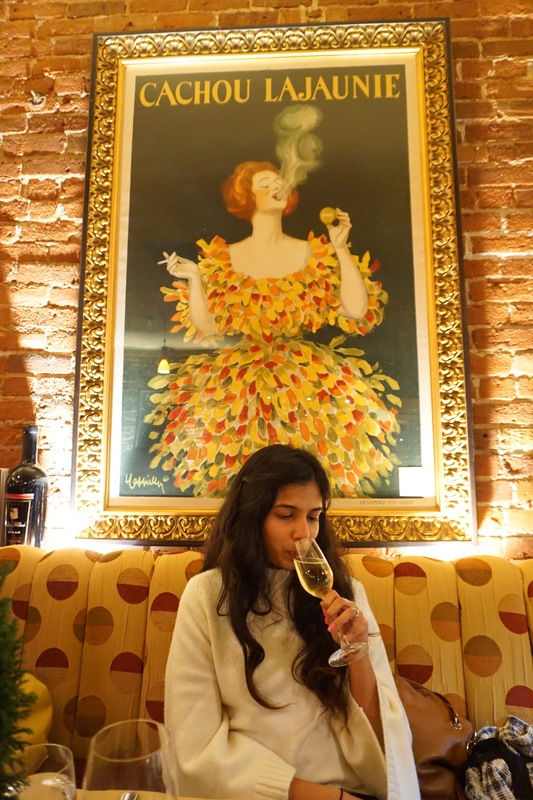 This definitely had a very Parisian feel to it, and I recommend it if you want to start off with a very nice date night dinner. Definitely make reservations. We trusted the chef completely, and went with his 5 course menu (not the chef’s tasting menu that is printed). He took into account all our likes and dislikes and allergies, and really gave us an amazing dining experience. Of course the welcome champagne at the beginning also helped. After we wined and dined to our heart’s (and stomach’s) content, we turned in, looking forward to a winery and hot springs day. Watch out for that in Part II of our road trip blog post! Highway 1 sometimes has closures so watch out for the signs, and plan accordingly. Google Maps seems to dislike and distrust Highway 1, so you might have to choose that route manually in some places. Please do not assume that it does not exist. 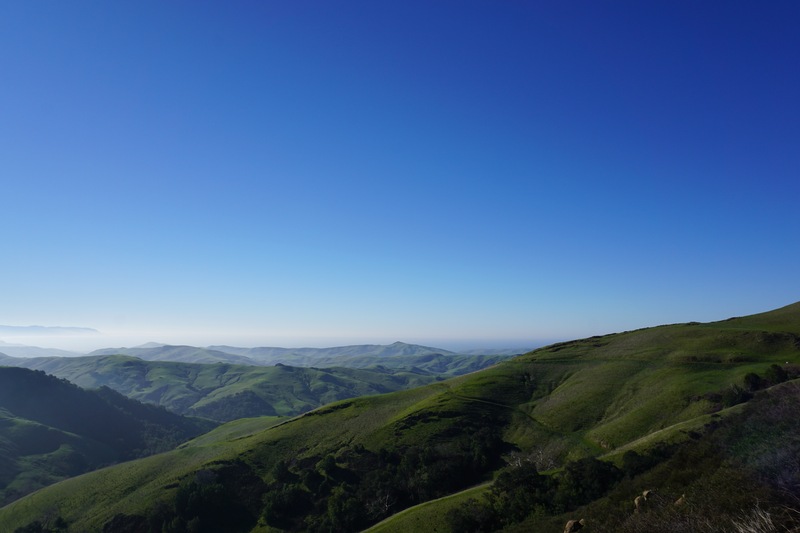 Always choose to stop in San Luis Obispo, even if just to stretch your legs for 5 minutes. 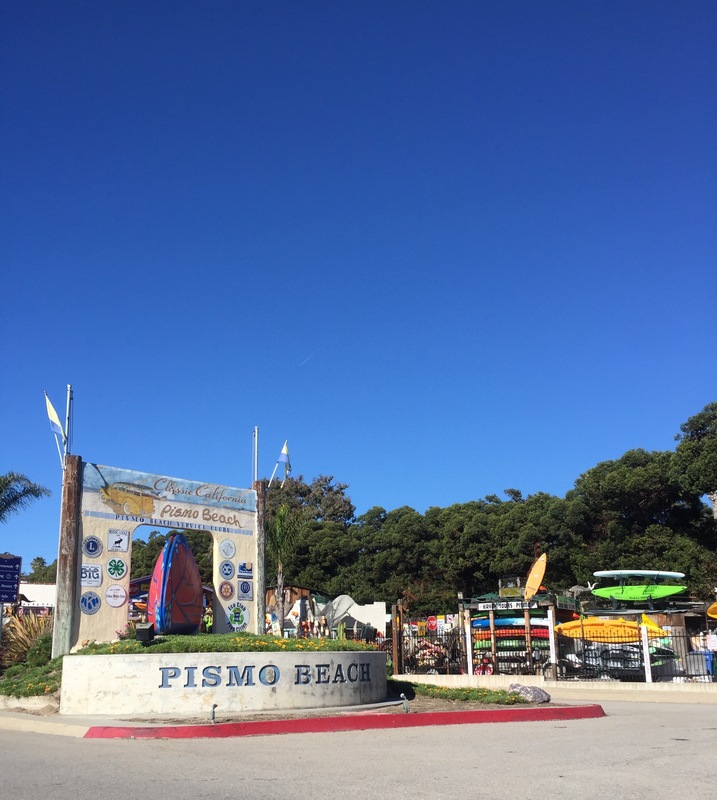 Pismo Beach – known for sand dunes, ATVs, surfing, and a chill beach scene. More information here. 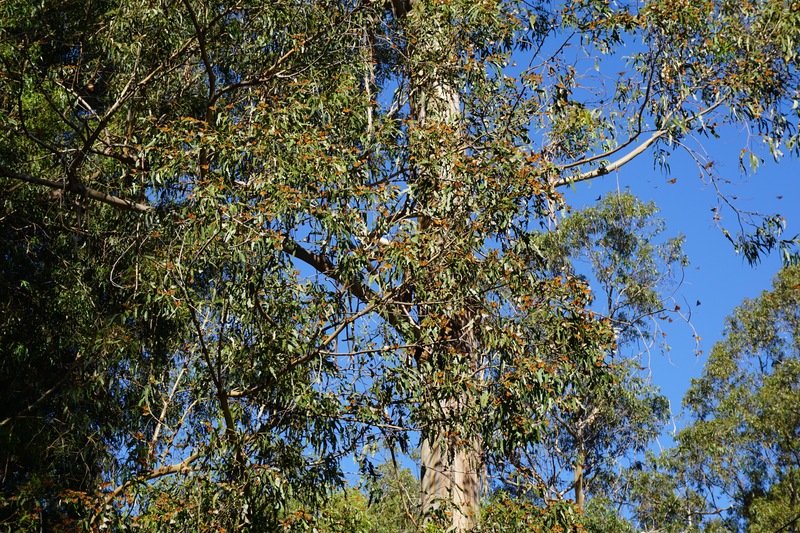 The Monarch Butterfly Grove is located here, and is open between late October – March. 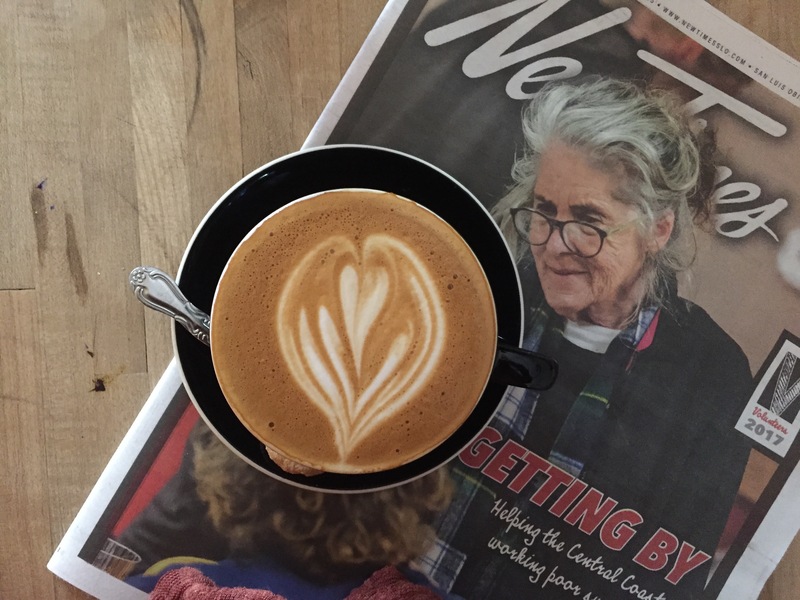 San Luis Obispo – home to California Polytech University, a lovely downtown area, hipsters and an amazing coffee shop. Read more about visiting SLO on their page. Paso Robles – surrounded by rolling hills (green during winter) and wineries, is a pretty little town in Central California. 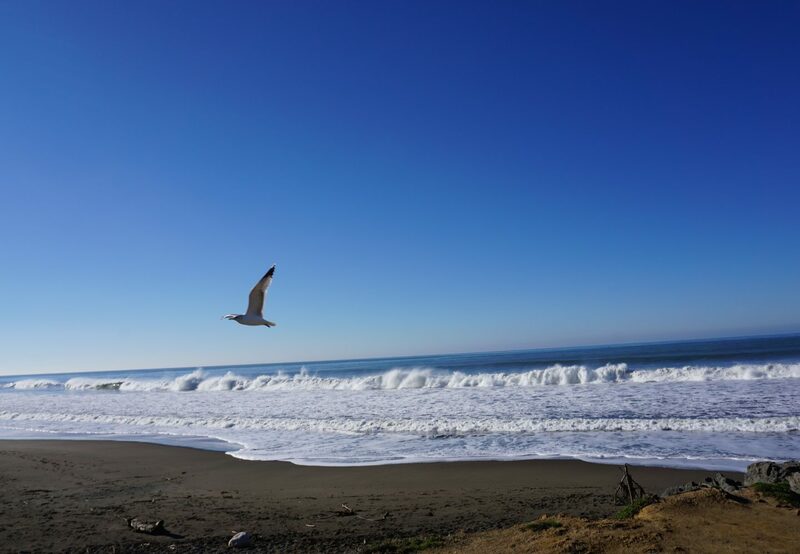 It’s also a good base for road trips close by, such as to the coastal towns of Cayucos and San Simeon as well as the Hearst Castle. We stayed at this airbnb. If you are new to airbnb and want to create an account, follow my link and get $40 off your first booking! Coffee at Spearhead Coffee. Delicious cappuccinos, and tea as well. Picnic lunch from Red Scooter Deli, very affordable and quite good. They also deliver to wineries. Dinner at Bistro Laurent (fancy French), or Fish Gaucho (cool Mexican fusion). Some other good spots for dinner : Artisan (American), Buona Tavola (Italian), Il Cortile Ristorante (Italian). Hot Springs at River Oaks Hot Springs for a lovely, clean, spa like experience. For a more natural, but grimy and kind of edgy experience, go to Franklin Hot Springs (We chose the former). 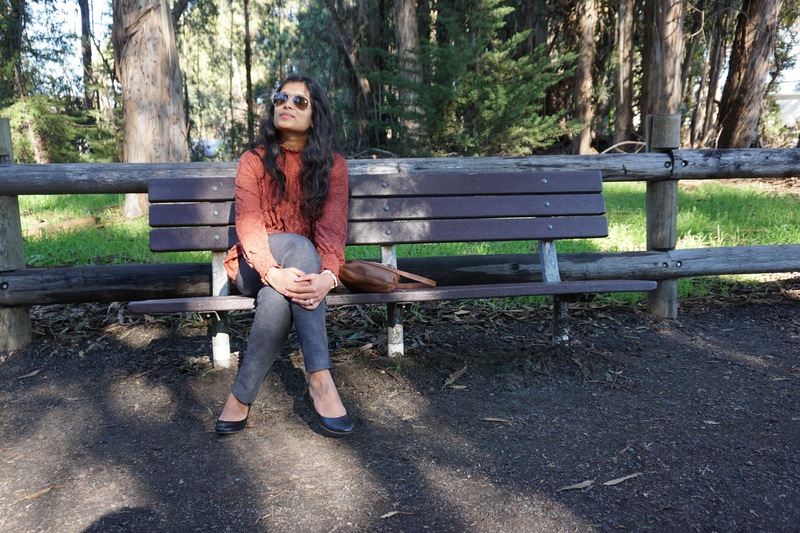 More travel stories for Highway 1 destinations from this trip will be on my next blog post! If you are looking for some more California travel or road trip inspiration, check out my posts on Ojai, Yosemite or Joshua Tree! Oh come on! I lost my concentration at chicken wings with waffels! 🙂 It’s always fun to me how big America is and how driving for 9 hours is a regular weekend gettaway for you guys. Last time when we drove for 9 hours was we went to Berlin in February and stayed for a month! 😀 Also, we slept in a hotel at about half the drive. 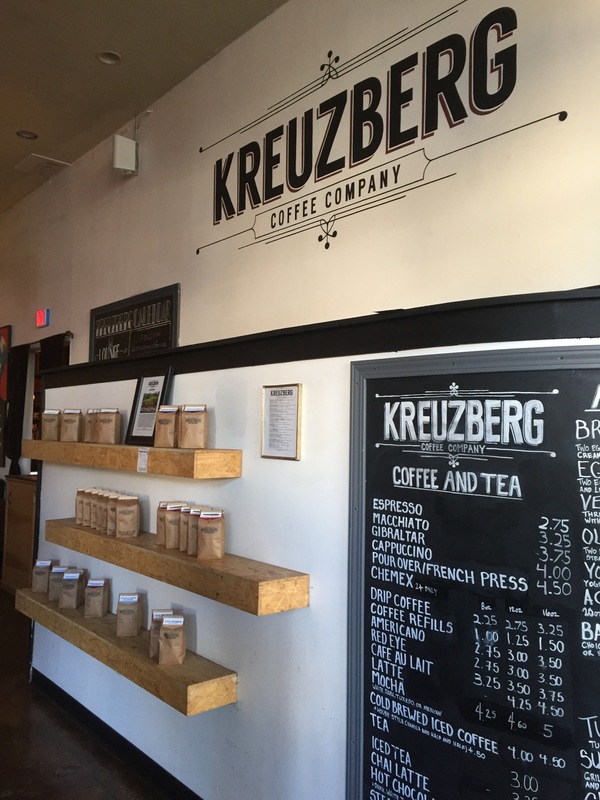 Does Kreuzberg cafe have anything to do with Kreuzberg neighbourhood in Berlin? Hahah, yeah everything is so spread out in America! I would love to stay in Berlin for a month, would you recommend it?